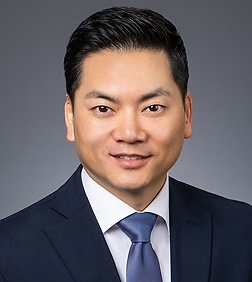 Robert Ahn is a Special Counsel in the Real Estate, Land Use and Environmental Practice Group in the firm’s Los Angeles office. A former Planning Commissioner for the City of Los Angeles (2013-2017), Robert’s practice focuses on land use matters and commercial real estate transactions. He advises investors and developers on a variety of land use projects, providing unique insights and strategic advice with regard to entitlements across all asset types. He has represented clients on a wide variety of real estate transactions, including acquisitions and dispositions, financing, commercial leasing, joint venture transactions and entity formation and structuring. A native Angeleno, Robert is active both civically and politically in Los Angeles and currently serves as the President of the Cannabis Regulation Commission for the City of Los Angeles, as an appointee of Mayor Eric Garcetti. In 2017, Robert was a candidate for the United States Congress, 34th District, in a special election to fill the seat vacated by Xavier Becerra, advancing to the General Election with a top 2 finish out of 23 candidates in the Primary Election. Robert received his B.B.A. from Emory University (Dean’s List) and his J.D. from the University of Southern California Law School (Hale Moot Court Honors Program).